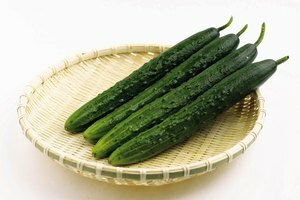 Cucumbers are appreciated in most of the world's cuisines, from North America to Asia and from Europe to the Middle East. Their crisp, juicy flesh has all the freshness of a melon but without the sweetness, making them suitable for use in a wide range of light and savory dishes. In many cases, you can grate or shred them for use in salads or dips. Cucumbers are part of the cucurbit family, which also includes squashes, pumpkins and melons. The cucurbits are vining plants that produce meaty fruits with flats seeds encased in a stringy pulp. 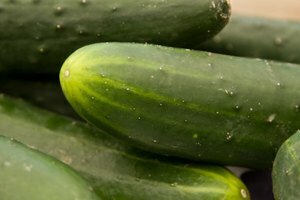 Cucumbers have been bred over the centuries to minimize their seeds and make the central pulp edible. The two main varieties found in the U.S. are described generically as "field" or "English" cucumbers. Field cucumbers are thicker and produce larger seeds, while the longer English type are thinner and have smaller, vestigial seeds. Both can be grated for numerous uses. Field cucumbers require more preparation than English-style cucumbers. Their skins are thicker and tougher, and usually you must remove the seed-bearing pulpy area. Begin by peeling the cucumber with a paring knife or vegetable peeler. Once the skin has been stripped away, slice the cucumber in half lengthwise and use a spoon to scoop the seeds and pulp from the middle. The peeled halves are slippery, and you might find them easier to handle if you wear disposable kitchen gloves. Hold a flat or box grater over a bowl or colander, and shred the cucumber on the coarse section of the grater. 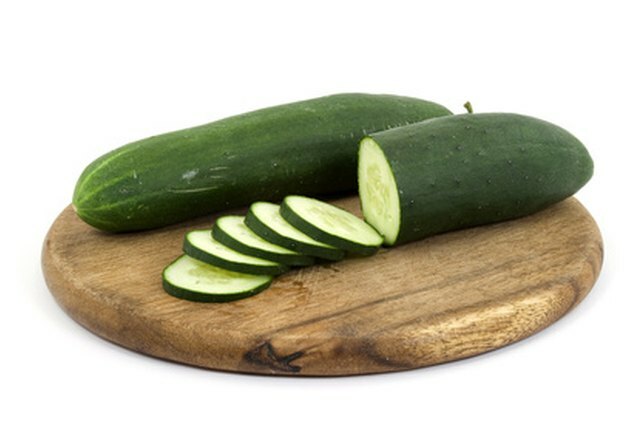 English-style cucumbers have thinner skins and negligible seed cavities, so you can grate them whole if you wish. Peeling or not peeling the skin is an aesthetic decision rather than a culinary one. If the green peel makes a pleasant contrast in your dish, feel free to leave it on. 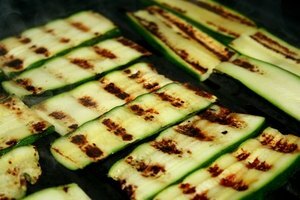 The cucumber is easier to hold and grate with the skin on. Again, use the coarse section of your grater for most purposes. The fine section of your grater is more likely to juice the cucumber than produce usable shreds. 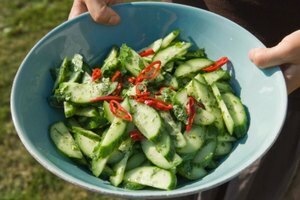 Hand-grated cucumbers can make a very pleasant salad. Drain any excessive moisture from the shredded cucumber, and toss it with other finely shredded vegetables such as daikon radish or carrots. Dress the salad with a light vinaigrette and chopped fresh herbs. Another common use for grated cucumber is in dips such as tzatziki, a staple of Greek restaurants. To use cucumber for dips, carefully press out any excess moisture in a colander or clean kitchen towel. Stir the dry shreds of cucumber into Greek style yogurt with an appropriate combination of spices or herbs.